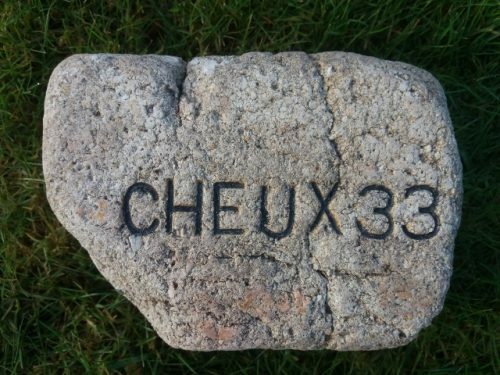 There is a good possibility that this may be a French brick. 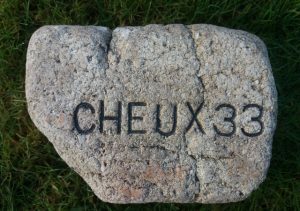 Cheux is a former commune in the Calvados department in the Normandy region in northwestern France. 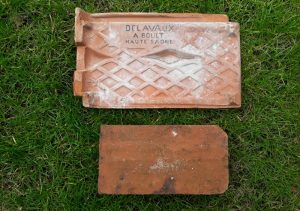 Both the roof tile and the unmarked brick were found in France. Kindly donated by a visitor to France. 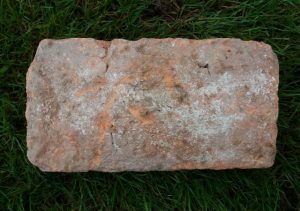 Terracotta roof tile. . . . . .
Found by Michael Fallon in the Glasgow area. Tuileries de Beauvais 6 Made in France Terracotta roof tile. . . . .
Found in France. Donated as a gift. This brick is unmarked and thin. 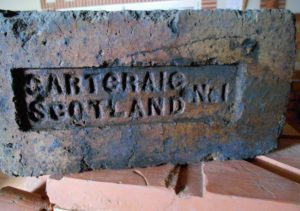 Unidentified manufactured but undoubtedly French. . . .
Found by Michael Fallon in the Glasgow area. 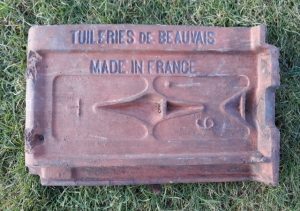 Tuileries de Beauvais CT Made in France Terracotta roof tile. . . . .
Found by Michael Fallon in the Glasgow area. 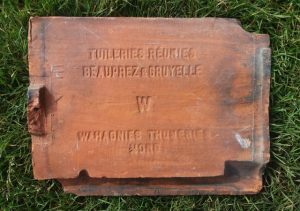 Tuileries Reunies Beauprez & Gruyelle W Wahagnies Thumeries Nord. 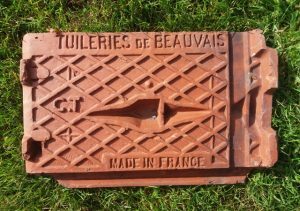 Terracotta roof tile. . . . .
Found by Michael Fallone in the Glasgow area. 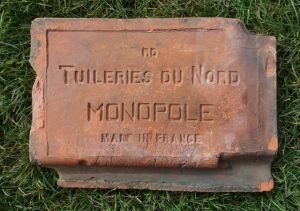 RD Tuileries Du Nord Monopole Made in France Terracotta roof tile. . . . .
Found by Tucker Kennedy in Glen Coe Borges (?) 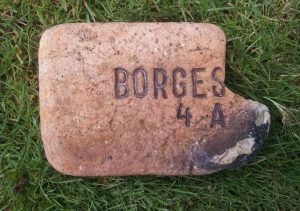 4A – One would assume there missing letters after Borges….. 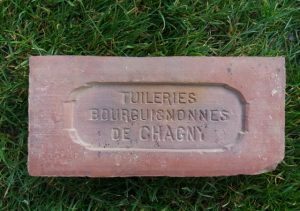 This is surely a French or Belgian brick. . . .
Found by Andre Doceul in the St Etienne de Montluc area of France. 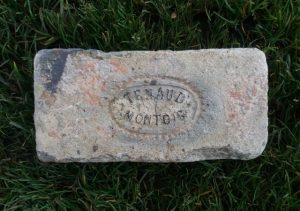 It was found during the demolition of furnaces at an Old Slaughter House. 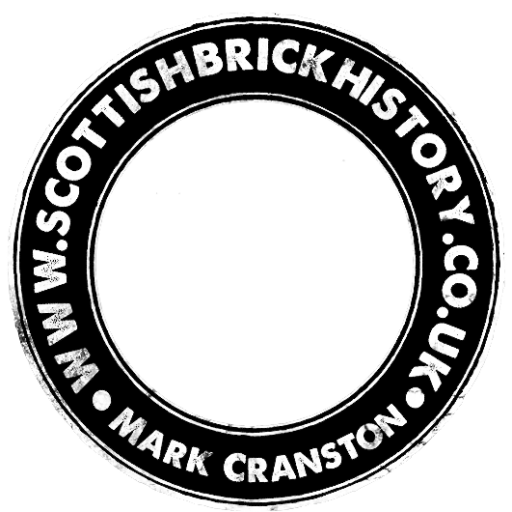 Gartcraig Fire Clay Works, By Millerston, Glasgow . . . .